Anne Wetzel will exhibit her photograms in the Mellon Room of the Northeast Harbor Library throughout the month of September. There will be an opening reception on Thursday, September 4 from 4-6pm. Anne began her career in photography in 1994 after leaving her administrative position in the Graduate School of Fine Arts at the University of Pennsylvania. Her fascination with photography began when Fine Arts faculty member, Becky Young, invited Anne to study with her at the University. 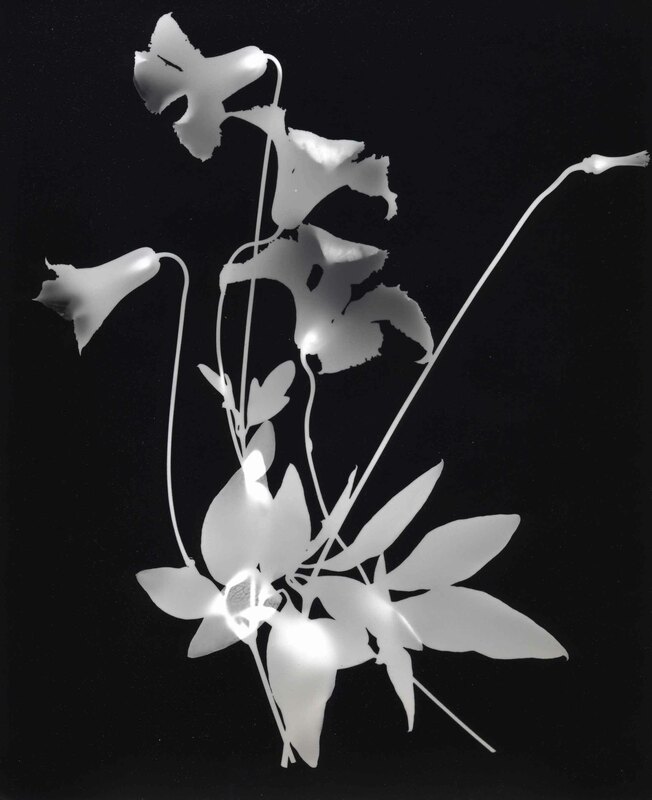 Drawing inspiration from her love of gardening, she initially chose flowers as models, photographing them in the studio in black and white. She then moved on to landscape photography, also in black and white. Her subsequent interest in human subjects was sparked when she attended the Holy Week services at St. James Episcopal Cathedral in Chicago, and discovered one of her true photographic interests, the worship of God in its many forms. “I was deeply struck by the visual power of these ancient rites. I wanted to explore and capture with the camera the interplay of darkness and light; the juxtaposition of the familiar and the strange; moments of inwardness, isolation, intimacy and communion; the vulnerable human being moving in community to encounter the mystery of God.” Her Holy Week project evolved into a publication co-authored with Janet B. Campbell: Through the Window of the Ordinary: Experiences of Holy Week. In May 2000 she spent a week at Chartres Cathedral, photographing the cathedral, and absorbing the history and spiritual feeling of this great Cathedral. The labyrinth placed in the sanctuary and an integral part of the cathedral’s history was particularly intriguing to her. Anne’s two trips to China broadened her understanding of the closeness and integration of the Eastern faiths with her Western upbringing. She discovered and photographed some of the sacred sites and ceremonies of that country. In July 1998 Anne joined the communications team of the Lambeth Conference of the Anglican Communion in Canterbury, England as a photographer. There, caught up with the Conference’s diversity, and with the need to find a unifying symbol, she discovered the wonderful pectoral crosses worn by the Bishops. She designed a montage using these crosses, which was published in 1999. Anne lives on the coast of Maine, not only photographing all of the life around her, but experimenting in her darkroom. The photograms started as an experiment playing in the darkroom, after seeing an exhibition in New York of early botanical studies. Wandering through the gallery and looking at these studies, I said to myself “I can do that”; it is just contact printing and so it started, using the plant material around me: in my garden, on the roadsides and anything that caught my eye. No camera, no film!